A successful workout isn’t always about going full out and pushing the limits. Walking is a wonderful way to stay fit – it has many health benefits, and it puts less strain on the joints than high-impact sports such as running. 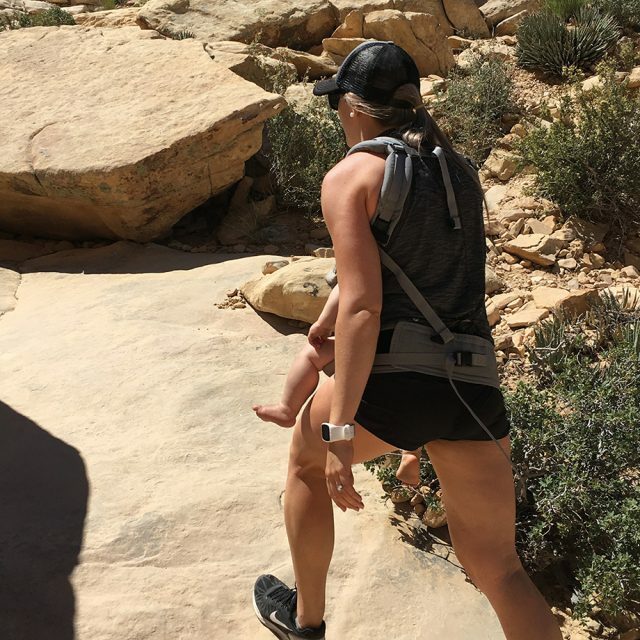 Head outdoors, enjoy some fresh air and turn your walk into a workout with these tips from Polar ambassador Brooke Turner. Rather than going for your casual walk around the block try to mix it up and opt for a path that has inclines and declines. An even better option is to choose a route with stairs or a nearby hill. Whilst it may not be a walking route, you can tackle the stairs/hill a number of times depending on your energy levels, motivation and time available. Adding a decent incline to your walk will help to recruit the larger muscle groups of your glutes, hamstrings and quadriceps, compared to the work involved when walking on flat terrain. Recruiting more muscle fibres means that your body is working harder and burning more calories, and it will also help tone and strengthen your lower body. Inclines are also fantastic for cardiovascular fitness. Higher intensity levels increase your heart rate and start to utilise your anaerobic energy system. It almost serves as a form of HIIT as you are on the climb (work effort), followed by your active recovery (descent). You can mix it up and take the stairs one or two at a time, and striding it out up a hill mimics a lunge exercise and can assist in delivering the same results. Have you ever noticed how the distance and time seems to pass so much faster when you are walking along your favourite coastal or bush track? Selecting a walking route with a view can be not only a great form of stress relief, but also a source of inspiration with the fellow walkers you pass along the way. What better form of motivation to encourage you to go that bit further or walk that little bit faster? Sometimes getting into your walking shoes and out of the house can be the hardest part of your workout. Once you are out in the fresh air and surrounded by others being physically active the energy can often be contagious and you may find that the 20-minute walk you barely had the energy for turns into a 30-40 minute walk. You can also aim for landmarks as your turn around point. Just as you would when performing HIIT on the treadmill, try to vary your walking speeds to utilise both your aerobic and anaerobic energy systems. Whilst power walking may not increase your heart rate to the same level that a sprint would, adding 30 seconds of a faster pace walk (work effort), followed by two minutes of your normal pace (recovery) for a lower intensity interval style workout can be highly beneficial. The work efforts are short, so this is a great option if you are feeling short on energy. If you don’t want to watch you clock to time this, aiming for landmarks is another great form of adding some power walking. Select a landmark and increase your walking speed until you reach it, then recover at a steadier pace until you reach the next identified landmark to pick it up again. Investing in a pair of ankle, wrist or small hand weights is also a great way to add a little extra resistance to your walk to help your upper body work a little bit harder. Holding something in your hands reminds you to pump your arms which in turn can improve the efficiency of your gait and encourage you to increase your pace (this is why sprinters have such a great arm drive when they are racing). If you don’t want to be walking the streets with your light dumbbells, you could always take a drink bottle with you and swap arms while you are walking to help encourage you to use your arms, focus on your posture and activate your core. If you have a treadmill at home, there is no excuse not to grab a set of dumbbells or weights if you have them available. Try to walk for five minutes pumping these in your arms, then take 2-3 minutes recovery before picking them up again. Set yourself a decent playlist to accompany you on your walk. Choose songs of about 128 BPM which equates to a brisk walk for most people. Music is a great way to keep you motivated, pass the time and keep up your pace. There are some easy and effective ways of increasing the intensity of your leisurely stroll whilst not feeling like you have just finished a round of HIIT. Walking is a fantastic low-intensity aerobic exercise. It’s low-impact to protect your joints and great for active recovery or those days when you can’t quite muster the energy to fit in a run. Try to incorporate some of the above tips when you next set out on a walk to help turn it into more of a workout.